The MINI is a small, lightweight, and versatile bike computer from Wahoo Fitness, but lacks many of the advanced features of its more expensive competition. The ELEMNT MINI is the smallest and least expensive model in Wahoo Fitness' range of three ELEMNT cycling computers. As the name suggests, the MINI is small and lightweight, only 29g for the unit. It can be used as a basic cycling computer on its own using the included speed sensor, or as a GPS tracking device when paired with your smartphone through the ELEMNT app. This makes the MINI highly versatile, although it lacks many of the features, like Strava segments and routes, navigation, and maps, of its larger and more expensive competition. That said, it can be easily paired with ANT+ and Bluetooth sensors, provide text message and phone call alerts, and share live tracking data. The unit is controlled with two tactile buttons at the bottom of a small but clear screen that displays three customizable data fields. The ELEMNT App is intuitive and easy to use, and ride data can be quickly and easily uploaded to all of the major fitness tracking sites including Strava, Training Peaks, and RideWithGPS. If you're looking for a small, versatile cycling computer, and you always ride with your phone, the ELEMNT MINI is worthy of consideration. The ELEMNT MINI falls at the bottom of Wahoo Fitness' range of three ELEMNT cycling computers both in price and performance. The MINI lacks many of the features of its more expensive siblings, but this small and lightweight computer still has plenty to offer the less data-obsessed riders of the world. This unique computer plays double duty as a basic cycling computer that displays and records speed, distance, and time when used with the included speed sensor, and as a GPS tracking unit when paired with your smartphone through the ELEMNT App. Regardless of how you choose to use it, the small screen clearly displays three customizable data fields. The MINI is small, lightweight, and provides basic information, features, and good connectivity, with the option to use it with or without GPS tracking. If you always ride with your phone, and you don't need maps, navigation, or Strava Live segments, then we feel this is an affordable option that performs well. Testing the ELEMNT MINI on Lake Tahoe's east shore. The MINI is impressively easy to use. The unit itself is small and controlled by two large tactile buttons at the bottom of the screen that are easy to press. Pressing either of the two buttons turns the unit on and it boots up in about five seconds. Once the unit is on, both buttons have prompts above them, and getting started is as easy as pushing the button that says start. The MINI is controlled by the two buttons below the screen. No matter how you choose to use the MINI, you'll want to download the free ELEMNT App and pair it with your device so you can set up a profile, customize your settings, and keep track of your results. This is especially important if you want to use the MINI as a GPS tracking unit, as you'll need to pair your smartphone with your device through the app and the Bluetooth on your phone. Assuming you want to use the unit as a basic computer that displays and records ride time, distance, and current speed, attach the included Bluetooth Wahoo speed sensor to your bike and press the start button. 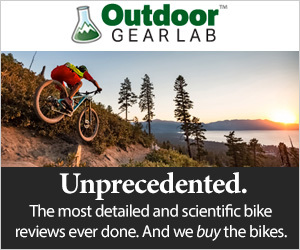 That's pretty much all you have to do to use it as a simple and basic cycling computer. If you choose to use the MINI for GPS tracking, you will need to allow the app to have full access to your location and keep your phone within Bluetooth range of the unit at all times. If you get outside of Bluetooth range, the connection between your phone and unit can be lost and may need to be reestablished again. To use the MINI this way involves turning on the unit, then opening the app on your phone to ensure you have a Bluetooth connection and leaving the app open, then hitting the start button to begin your ride. Pairing the MINI with ANT+ and Bluetooth cadence and heart rate sensors is quite easy and is done through the Settings page on the ELEMNT App. The app searches for nearby sensors which can then be paired and saved for future use. Other features like Live Tracking, text, and phone call alerts, and the customization of data pages, are controlled on the Settings page of the app as well. Overall, the functions and features of the MINI are limited in comparison with fully featured models like the Garmin Edge models, or even the ELEMNT Bolt, but the basics it provides are quite easy to use. The ELEMNT MINI uses a small coin cell battery for power which supposedly lasts for up to a year of use. It's convenient and easy to never have to worry about recharging your cycling computer, but you will eventually have to replace the inexpensive battery. Due to the relatively limited features of the MINI, setup is consequently quick and easy. Initial setup tasks like attaching the included stem mount to your bike with zip ties and downloading the free ELEMNT App to your smartphone are a couple of the most time-consuming parts. The included mount is a quarter turn style that fits best on anything round, so if your stem is squared off, it will work better on your handlebar. The set up is controlled through the ELEMNT App on both the Profile and Settings pages. On the profile page, you'll need to enter your personal information like height, weight, age, and gender, as well as linking to authorized accounts, like Strava, for sharing ride data. The Settings page is where you can customize the unit's display fields and pages and pair with compatible sensors. Live Tracking and text and phone call alerts can also be enabled through the Settings page. The ELEMNT App is well done and intuitive to use, setup of the MINI is on par with that of the BOLT since they both use the same app. Setup of MINI is much less time consuming than that of the Garmin Edge 1030, for example, which has many more features and a less intuitive app. If you're using the MINI as a GPS tracking unit, you'll need to turn on the unit, open the app on your smartphone and leave it open, then press start on the ELEMNT MINI, and keep your phone within Bluetooth range of the computer for the duration of your ride. The ELEMNT MINI is far from feature-packed, it's more like a basic cycling computer that can also be used for GPS tracking with some simple features and decent connectivity. One of the most interesting features of the MINI is the option to use it as either a basic unit on its own or as a GPS tracking unit when paired with your smartphone. The MINI does have several features that make it much more than just a basic computer that displays and records riding time, distance, and speed. First, when paired with your smartphone through the ELEMNT App with a Bluetooth connection, it works as a GPS tracking device. Through the app, it also has a Live Tracking feature which allows the user to share their ride and location in real time with selected individuals. All of your ride data can be stored on the ELEMNT app where it provides you with a summary of your ride including a map of your route, elevation profile, speed, distance, and time. You can also choose to quickly and easily upload your ride data to your favorite sites, like Strava, or any of the other most popular performance tracking sites. The MINI is compatible with ANT+, and Bluetooth cadence heart rate sensors, as well as the included Wahoo speed sensor. This is done easily through the Settings page on the ELEMNT App and adds a small level of performance analytics to this otherwise somewhat basic unit. It has features and connectivity that will please a good portion of the cycling community, but the truly data-obsessed riders of the world will be better suited with more feature-packed units like the Garmin Edge 820, the Garmin Edge 1030, or even the Wahoo ELEMNT BOLT. The MINI is a dedicated cycling computer, and we wouldn't really suggest it for use for other activities. That said, it covers the full range of cycling disciplines, road riding, gravel grinding, and all types of mountain biking. It is versatile in that it functions in two ways, either on its own for basic functions with the included speed sensor, or as a simple GPS tracking unit when paired with your smartphone and the ELEMNT App. This is somewhat unique when compared to the competition which can be used one way or the other, but not both. Over the course of our testing, we found the MINI to be incredibly water resistant. It brushed off quite a few splashes from creek crossings and even full submersion in a glass of water for several minutes. The unit is fully sealed, but if you ever remove the backing to replace the coin cell battery, great care should be taken when putting it back on to ensure the seal is lined up correctly. The MINI is best suited to cyclists looking for a relatively simple cycling-specific computer, and who always ride with their phone. Riders who don't want or need advanced navigation features, maps, or Strava Live segments will find this to be a versatile and compact computer that can do just about everything else. At a retail price of $100, the MINI is the least expensive cycling computer we tested that has GPS functionality. We feel that it is a great value, assuming you always ride with your smartphone anyway. It also performs double duty, as both a basic computer or connected GPS tracking unit depending on your needs. It lacks the more advanced functions of the more expensive competition, but those with relatively simple needs will find this to be a slick, lightweight, and inexpensive option. They claim up to a year of battery life for the coin cell of the ELEMNT MINI. The ELEMNT MINI is a unique cycling computer that performs double duty as a very basic unit, and as a GPS enabled tracking device. It has limited features, but most riders will find it performs the tasks they need. It's a small, lightweight, and easy to use and setup thanks to the well designed and user-friendly ELEMNT App. One of the most glaring drawbacks of the MINI is the fact that it must be paired with your phone through the app and a Bluetooth connection for GPS functionality, but if you always ride with your phone, it isn't a problem. Those looking for more advanced features like maps, navigation, and analytics should look elsewhere, but if your needs are simple, this is a great option. Wahoo Fitness makes a range of three cycling computers. The ELEMNT ($330) is their top of the line model which is fully GPS enabled, has a much larger screen, and more advanced features. The ELEMNT BOLT($250) is also included in our test selection, and is their GPS enabled mid-range offering with an aerodynamic shape, excellent connectivity, a large display, and great performance. All three ELEMNT computers use the same ELEMNT App.